If you bake bread only occasionally, you’re probably just grateful to little packets of dried yeast. This episode is not about that. There’s just not that much to say. When it comes to Judeo-Christian religious doctrine, however, the role of yeast in human affairs bubbles away below the surface of our cultures. 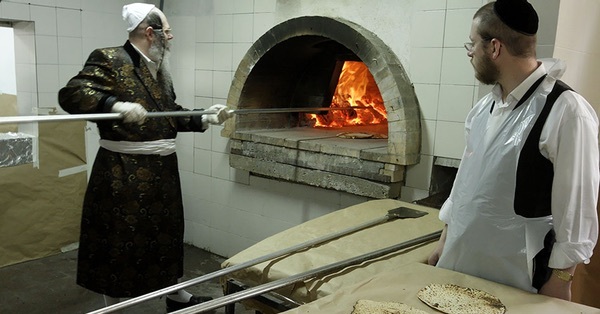 Photo from Why Unleavened Bread? Russian Photo Magazine liked this article on instagram.com. Jenny liked this article on instagram.com. Mel Darbyshire liked this article on instagram.com. Tuerong Farm liked this article on instagram.com. Devorah Vester liked this article on instagram.com. David Kaminer liked this article on instagram.com. Alicia Hale liked this article on instagram.com. Iain Banfield liked this article on instagram.com. Leanne M. liked this article on instagram.com. Mykola liked this article on instagram.com. yeryuzundennotlar liked this article on instagram.com. All hail Adolf Ignaz Mautner von Markhof. And also Pope Leo IX, Michael Cerularius the Patriarch and assorted wise rabbis and scholars.